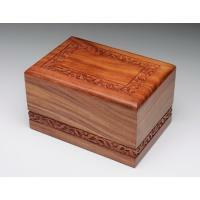 Simple yet elegant hand-carved rosewood urn with a beautiful border. Made from solid rosewood. Circular opening at base, secure closure with brass screws. Beautifully made. Felt pads on each foot of the urn base. 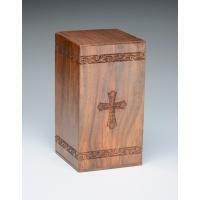 This gorgeously crafted rosewood urn includes an elegantly hand-carved cross. Made from solid rosewood. Circular opening at base, secure closure with brass screws. Beautifully made. 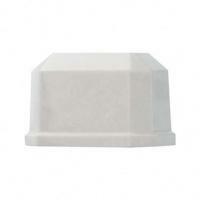 Felt pads on each foot of the urn base. 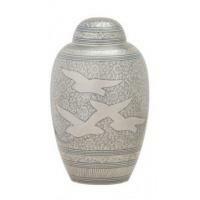 This metal urn with graceful etched doves is beautiful and intricate in its detail. Silver finish with brilliant green-blue enameled inlay polished to a high gloss finish. Dimensions: 10.5"H x 6" Diameter. Capacity: 200ci. 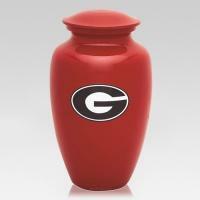 The University of Georgia Cremation Urn is made of metal with a beautiful, custom finish. The front of the vessel's body features the University of Georgia's insignia. 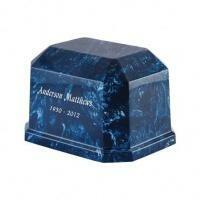 This elegant cremation urn will create a modern and unforgettable remembrance of your loved one. Top opening with screw lid. Felt bottom. Approximate 13" tall. 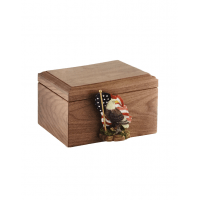 This memory box has a custom art figure (Patriotic Eagle shown) that is applied with a unique locking mechanism; they provide an elegant presentation for the memorial location of your choice for your loved one. Custom engraving available for an additional charge. 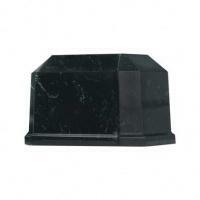 Dimensions: 9.25"H x 11.25"W x 8.25"D. Capacity: 200ci. 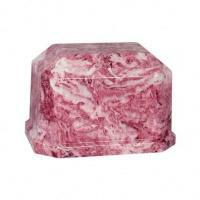 The Marble Urn is made using the finest materials by artisan craftsmen, with an unparalleled attention to detail. Three sizes available (prices may vary). Custom engraving available for an additional charge. 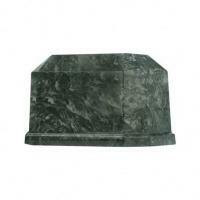 Dimensions: 6.75" H x 10.5" W x 8" D. Capacity: 200 cu. in.